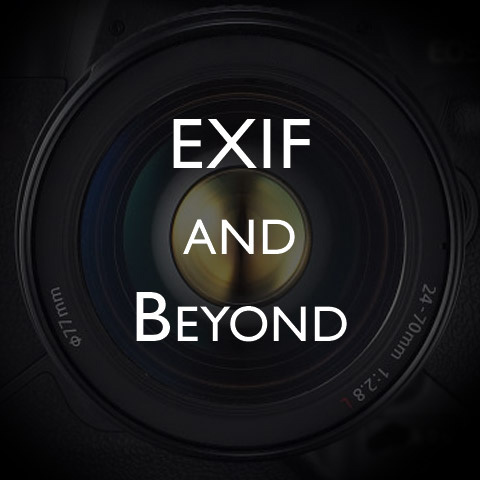 The 14th episode of EXIF and Beyond has been released. Unlike previous episodes a lot of debate and controversy has been swirling within the online photography community and blogosphere in regard to various cases of copyright infringement (see my previous articles Will The Real Flickr Please Stand Up among others) and the use of Creative Commons (Creative Commons: A Great Concept, Iâ€™ll Never Employ among others & Black Star Rising’s Why Photographers Hate Creative Commons / Protecting Your Images: The Myth of Creative Commons). As use of Creative Commons grows and copyright infringement cases surface more frequently it’s become clear a lot of the discussion around Creative Commons has become quite polarized and often riddled with inaccuracies. In an effort to keep this debate as accurate as possible I thought it would be beneficial to go straight to the source for the most accurate information about Creative Commons. This episode features an interview with Stanford Law Professor Lawrence Lessig, co-director of the law schoolâ€™s Center for Internet and Society, author of “Free Culture: How Big Media Uses Technology and the Law to Lock Down Culture and Control Creativity” and founder of Creative Commons. In this conversation Professor Lessig, with a focus on photography, discusses the purpose & objective of Creative Commons, his perspective on copyright law, addresses the question “How if at all the adoption of Creative Commons is hurting photographers? and shares more information about the recently announced CC+ license. For the non-iTune listeners a streaming version of this podcast can be accessed here. Thanks Jim, for taking the time to interview Lessig. Good work! A few thoughts: 1. Lessig said: Lessig: â€œâ€¦when they steal a CC photograph, there is a fight, because there is a CC community that gets together and says â€œthis is outrageousâ€. Where was the CC community in Bubblegate? There was quite a bit of stolen CC content in that video and no one said a peep. The CC Community should have been just as pissed off as the ARR Community. 2. He says that we live in this culture of people wanting things in one or two clicks and not wanting to take the time to read detailed language relating to copyright. Yet, CC has more confusing wordiness than ARR. Like, how many different licenses there are, what they mean, etc. Not to mention the fact that sites like flickr neglect to inform people that the licenses are irrevocable. I agree with Scott Baradell who wrote the piece â€œWhy photographers hate Creative Commonsâ€ for http://rising.blackstar.com/why-photographers-hate-creative-commons.html when he says that the easiest, simplest way to handle this is to mark a work ARR and then to specify the terms you would like to have it used under. If someone contacts you and asks to use a photo for free, you can grant them the right. Once CC is granted, there IS no turning back and a photographer has lost his rights forever to those images. 3. Most people donâ€™t understand copyright and the legalities of obtaining model releases, etc. So your average flickr photographer licenses images of other people under CC thus giving away rights without consulting the people pictured, as in the case of Virgin Mobile in Australia. 4. Iâ€™m just curious, under what authority does Lessig have to develop CC as a system of licensing? Iâ€™m not anti CC, but I think itâ€™s deeply flawed and very confusing. Awesome photography! Stumbled onto your site by googling for discussions about info photographers put into their EXIF.